Protege and student of the famous Frank Lloyd Wright, architect William Bernoudy created Chris Frank and Megan Frank's contemporary Symington House. Occupying nearly two acres in the beautiful city of Ladue, the 1961 residence is on the market now for only the second time in history, following the purchase and immense renovation of the property by the Franks in 2010. The main floor is adorned with elegant dark oak floors and floor-to-ceiling glass windows, and windows wrap the home from end-to-end, offering a beautiful view and unprecedented amounts of natural light. Inside the main entrance awaits a spacious living room with a wet bar and crushed glass fireplace, and a dining room that extends to a relaxing screened-in porch. The modernized kitchen, perfect for an avid chef, features a wide array of appliances including four ovens, six refrigerators, and four dishwashers. The master suite boasts his-and-her baths, a dressing room, and ample closet space. 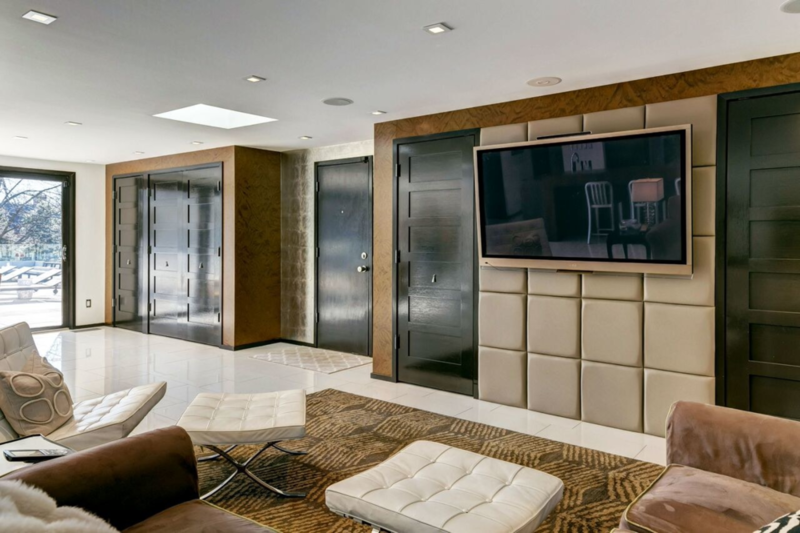 The pneumatic tube elevator and a glass spiral staircase lead to a luxurious lower level suite with a second fire-lit living room, three additional bedrooms, and two additional baths. This mid-century modern home is a sight to see, and an architectural masterpiece.